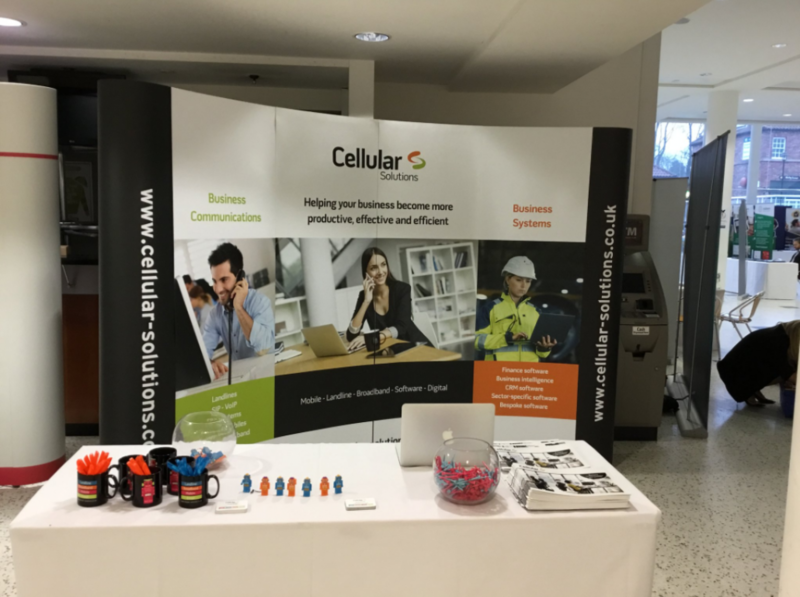 The Cellular Solutions team was delighted to attend and exhibit at Hunters’ Annual Conference on March 16. Hunters, which has operated since 1992, has a national network of more than 200 branches; 11 owned and the remainder franchised. It offers both sales and letting services and is one of the fastest growing franchised estate agency networks in the country. The conference – which has been held at York Racecourse since 2014 – attracted more than 300 guests, including franchisee partners and network colleagues who came together to learn, discuss and celebrate. The event saw members of our team showcase our business communications and systems to conference delegates, who were able to explore everything from state-of-the-art mobile technology, to flexible landline solutions and leading business software, at our stand. We have worked with Hunters for more than eight years and provide mobile communications packages to Hunters’ head office in York and its group offices in Bingley, Wetherby, Harrogate, Easingwold, Leeds and Manchester. We were recently named by Hunters as mobile provider of choice, which means that Cellular Solutions now has preferred supplier status across the Hunters network. If you’d like to know more about our ongoing work with Hunters, read the full case study here. We would like to congratulate all the nominees and winners of the awards at the Hunters Gala dinner, and we’re already looking forward to next year’s event!